Rio Alto - flower delivery London and UK gifts. Traditional and subtly accented, this bouquet is the perfect birthday gift for either man or a woman. 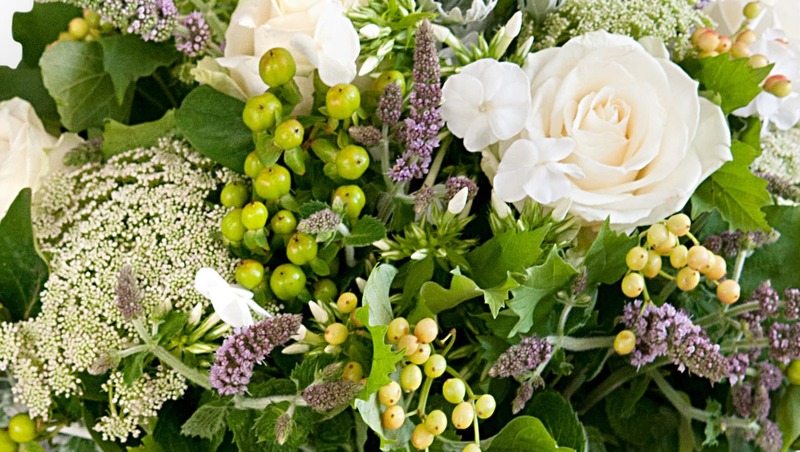 A strong all-rounder, the classic white roses, green hypericum and Senecioviravira combine to create a restrained and dignified arrangement suitable for any occasion. Perfect in proportions and design, this bouquet is hand tied by our experienced florists with fresh flowers. Wonderful gift to send to anyone. My wife loved receiving it. I must do it more often she says.